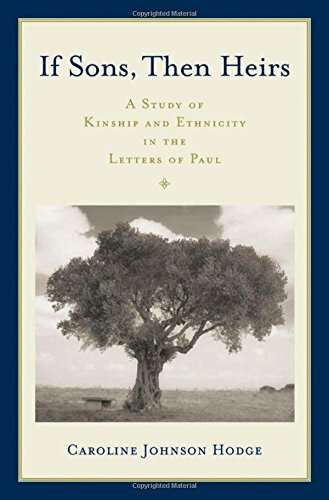 Mark D. Nanos, "Why Did Paul Accuse Peter of 'Living Ethné-ishly'? Re-Reading the Antioch Incident (Gal 2:11-21) as a Banquet Narrative". Journal for the Study of Paul and His Letters 6:2 (2016): 199-223. Robert L. Brawley, "Nodes of Objective Socialization and Subjective Reflection in Identity: Galatian Identity in an Imperial Context". Pages 119-43 in T&T Clark Handbook to Social Identity in the New Testament. Edited by J. Brian Tucker and Coleman A. Baker. London: Bloomsbury, 2013. Justin K. Hardin, "Equality in the Church (Gal 3:28 and Eph 2:14–18)". Pages 224-34 in Introduction to Messianic Judaism: Its Ecclesial Context and Biblical Foundations. 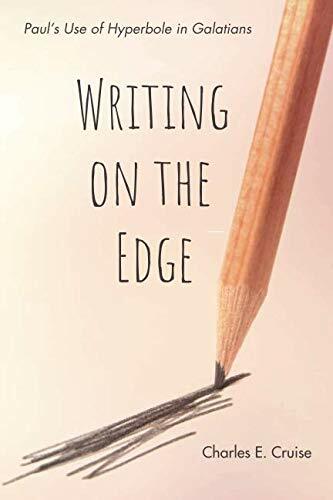 Edited by David Rudolph and Joel Willitts. Grand Rapids: Zondervan, 2013. 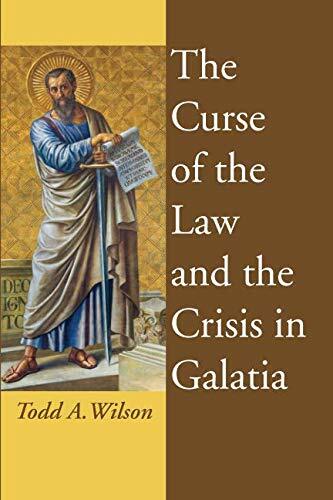 Todd A. Wilson, "Law in Galatians". 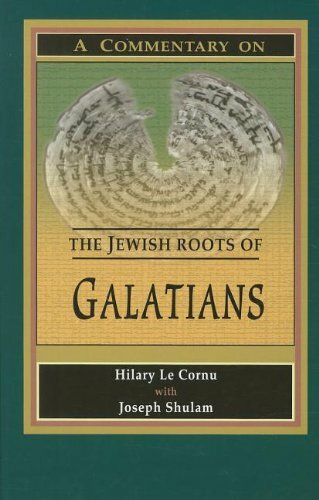 Pages 235-44 in Introduction to Messianic Judaism: Its Ecclesial Context and Biblical Foundations. Edited by David Rudolph and Joel Willitts. Grand Rapids: Zondervan, 2013. 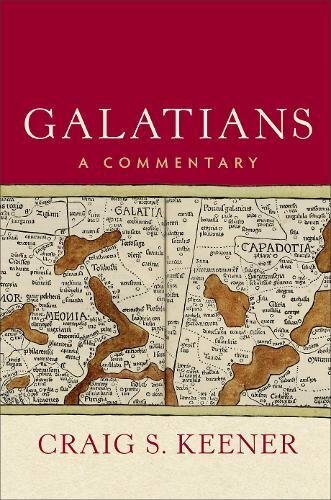 Joel Willitts, "Davidic Messiahship in Galatians: Clearing the Deck for a Study of the Theme in Galatians". Journal for the Study of Paul and His Letters 2.2 (Fall 2012): 143-162. 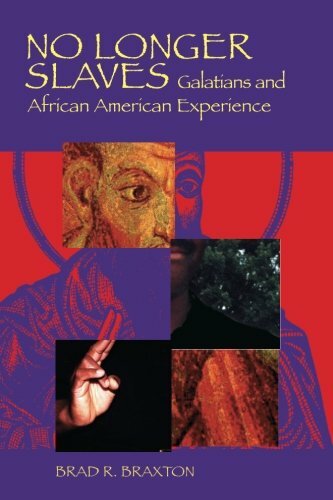 Mark D. Nanos, "Galatians". Pages 455–74 in Blackwell's Companion to the New Testament. Edited by David Aune. Oxford: Blackwell Publishing, 2010. 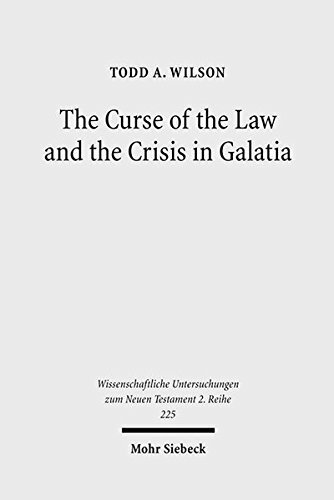 Mark D. Nanos, Review of Todd A. Wilson, The Curse of the Law and the Crisis in Galatia (WUNT 2.225; Tübingen: Mohr Siebeck, 2007): Biblical Interpretation 18:2 (2010): 164-66. Susan Grove Eastman, "Israel and the Mercy of God: A Re-Reading of Galatians 6:16 and Romans 9-11". 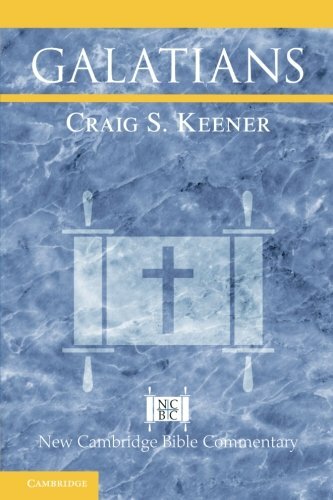 New Testament Studies 56:3 (July 2010): 367-395. 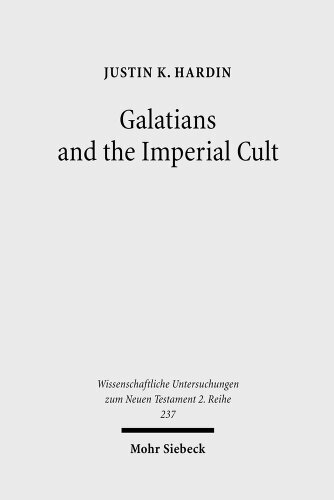 Mark D. Nanos, Review of Justin K. Hardin, Galatians and the Imperial Cult: A Critical Analysis of the First-Century Social Context of Paul's Letter (WUNT 2.237; Tübingen: Mohr Siebeck, 2008): Review of Biblical Literature, April 19, 2009. S. Lewis Johnson, Jr, "Paul and 'the Israel of God': an Exegetical and Eschatalogical Case-Study". The Master's Seminary Journal 20:1 (Spring 2009): 41-55. Markus Bockmuehl, "Peter between Jesus and Paul: The 'Third Quest' and the 'New Perspective' on the First Disciple". Pages 67-102 in Jesus and Paul Reconnected: Fresh Pathways into an Old Debate. Edited by Todd D. Still. Grand Rapids: Eerdmans, 2007. Todd A. Wilson, "The Law of Christ and the Law of Moses: Reflections on a Recent Trend in Interpretation". Currents in Biblical Research 5:1 (2006): 129–50. Mark D. Nanos, "Intruding 'Spies' and 'Pseudo-brethren': The Jewish Intra-Group Politics of Paul’s Jerusalem Meeting (Gal 2:1–10)". Pages 59–97 in Paul and His Opponents. Pauline Studies 2. Edited by Stanley E. Porter. Leiden: Brill, 2005. Magnus Zetterholm, "Purity and Anger: Gentiles and Idolatry in Antioch". Interdisciplinary Journal of Research on Religion 1 (2005): 1–24. 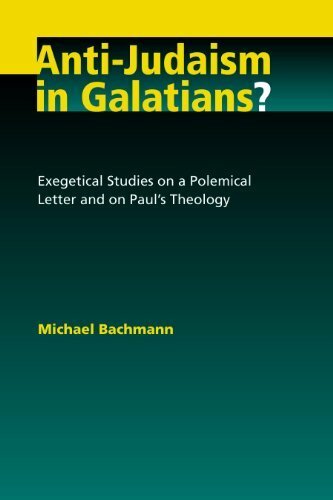 Todd A. Wilson, "'Under Law' in Galatians: A Pauline Theological Abbreviation". Journal of Theological Studies56:2 (2005): 362–92. Joel Willitts, "Isa 54,1 in Gal 4,24b–27: Reading Genesis in Light of Isaiah". Zeitschrift für die Neutestamentliche Wissenschaft und die Kunde der älteren Kirche 96:3–4 (2005): 188–210. 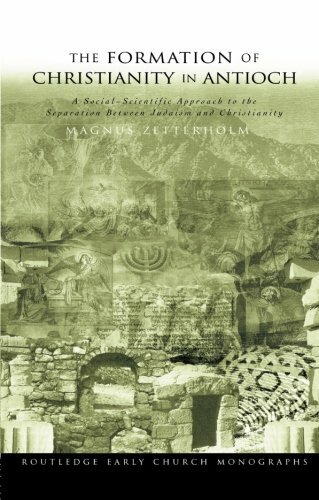 Magnus Zetterholm, "A Covenant for Gentiles? Covenantal Nomism and the Incident at Antioch". Pages 168–88 in The Ancient Synagogue From Its Origins Until 200 C.E. Papers Presented at an International Conference at Lund University, October 14–17, 2001. Edited by Birger Olsson and Magnus Zetterholm. Stockholm: Almqvist & Wiksell International, 2003. Judith M. Gundry-Volf, "Beyond Difference? Paul’s Vision of a New Humanity in Galatians 3.28". 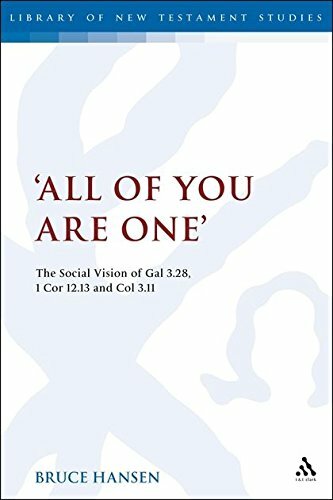 Pages 8–36 in Gospel and Gender: A Trinitarian Engagement with being Male and Female in Christ. Edited by Douglas A. Campbell. London: T & T Clark, 2003. Joel Willitts, "Context Matters: Paul’s Use of Leviticus 18:5 in Galatians 3:12". Tyndale Bulletin 54:2 (2003): 105–122. Mark D. Nanos, "What Was at Stake in Peter's 'Eating with Gentiles' at Antioch?" 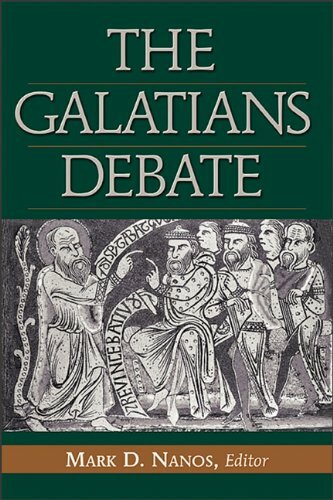 Pages 282-318 in The Galatians Debate. Edited by Mark Nanos. Peabody: Hendrickson, 2002. Mark D. Nanos, "Introduction". 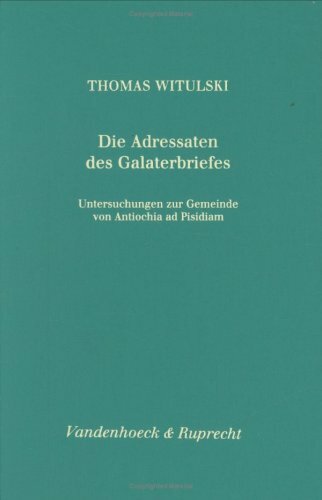 Pages xi-xli in The Galatians Debate. Edited by Mark Nanos. Peabody: Hendrickson, 2002. 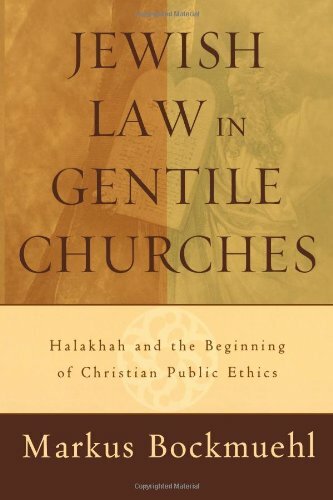 Mark D. Nanos, "The Inter- and Intra-Jewish Contexts of Paul and the Galatians". 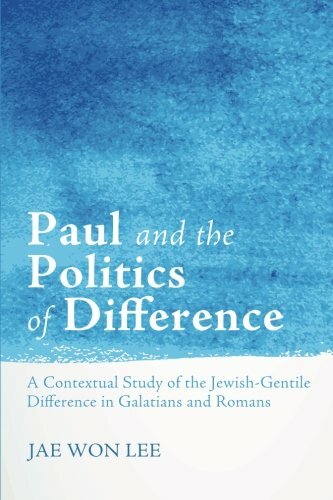 Pages 146-59 in Paul and Politics: Ekklesia, Israel, Imperium, Interpretation. Edited by Richard Horsley. Trinity Press International, 2000. Reprinted in The Galatians Debate. Edited by Mark Nanos. Peabody: Hendrickson, 2002, 396-407. 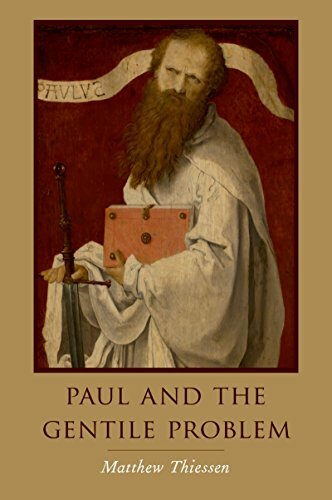 Pamela Eisenbaum, "Is Paul the Father of Misogyny and Antisemitism?" Cross Currents 50:4 (2000–01): 506–24. 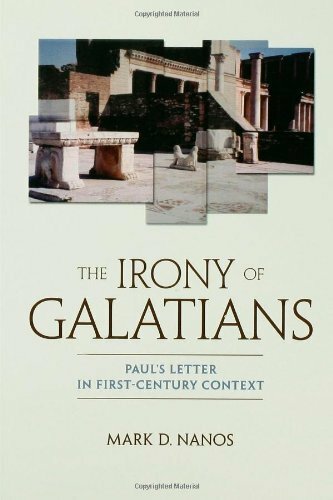 Mark D. Nanos, "The Intra-Jewish Context of Galatians: Identifying the Players and Situation Implied in Paul's Letter of Ironic Rebuke". Ph.D. Diss., University of St. Andrews, Scotland, 2000. Judith M. Gundry-Volf, "Christ and Gender: A Study of Difference and Equality in Gal. 3:28". Pages 439–77 in Jesus Christus als die Mitte der Schrift. Edited by Christof Landmesser, et al. Berlin: de Gruyter, 1997. Troy W. Martin, "Pagan and Judeo-Christian Time-Keeping Schemes in Gal 4.10 and Col 2.16". New Testament Studies 42 (1996): 105–19. Troy W. Martin, "Apostasy to Paganism: The Rhetorical Stasis of the Galatian Controversy". Journal of Biblical Literature 114 (1995): 437–61. Judith M. Gundry-Volf, "Male and Female in Creation and New Creation: Interpretations of Galatians 3:28c in 1 Corinthians 7". Pages 95–121 in To Tell the Mystery: Essays on New Testament Eschatology in Honor of Robert H. Gundry. Edited by Thomas E. Schmidt and Moisés Silva. JSNTSS 100. Sheffield: Sheffield Academic Press, 1994. 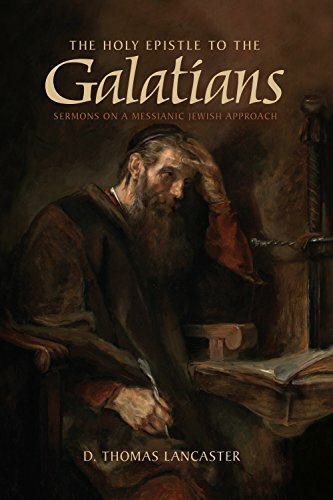 Paula Fredriksen, "Judaism, the Circumcision of Gentiles, and Apocalyptic Hope: Another Look at Galatians 1 and 2". Journal of Theological Studies 42 (1991): 532–64. 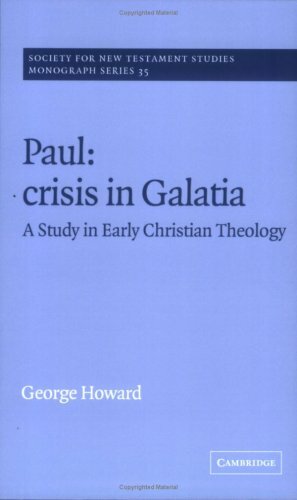 S. Lewis Johnson, "Paul and the 'Israel of God': An Exegetical and Eschatological Case-Study". Mishkan 6-7 (1987): 49-65.